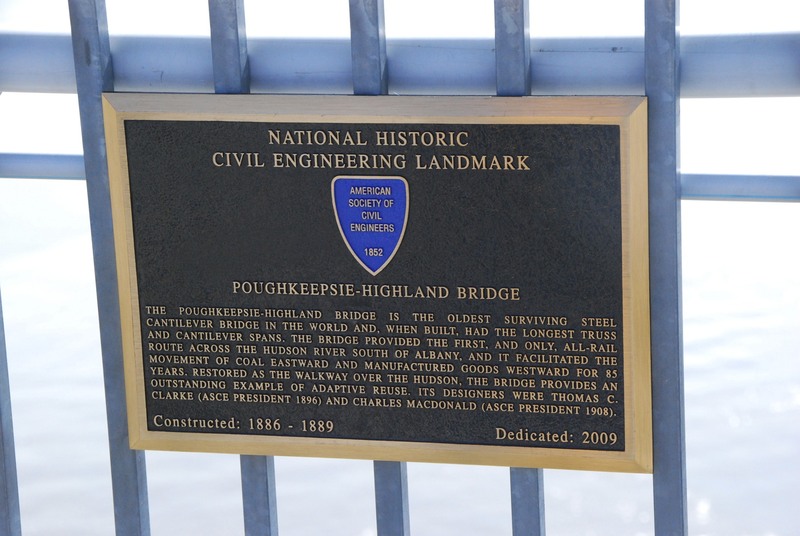 Recently, a friend and I walked across the 1.28-mile (2.06 km) Poughkeepsie (NY) Bridge; built in 1889 as the first railroad crossing over the Hudson River south of Albany. 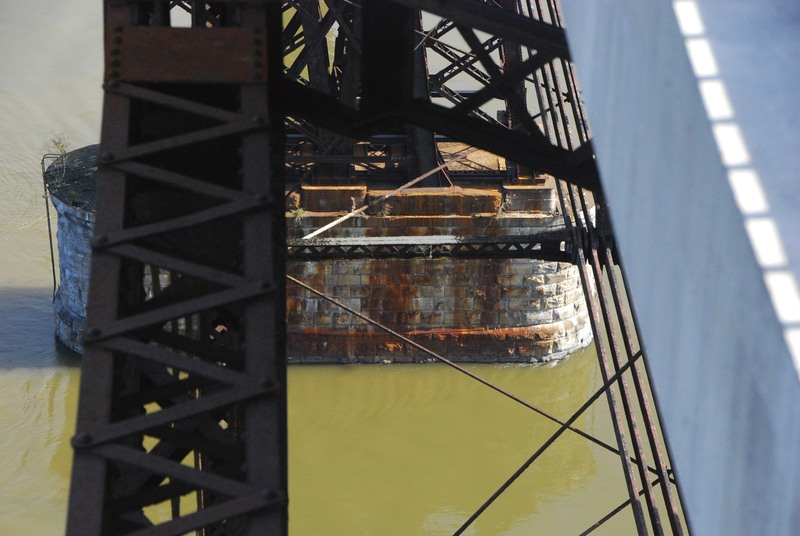 A magnificent and immensely important structure for its time, its use was abandoned almost 40 years ago. Through “adaptive re-use” it was re-opened to the public in 2009 as a historic state park, now attracting 750,000 visitors a year. 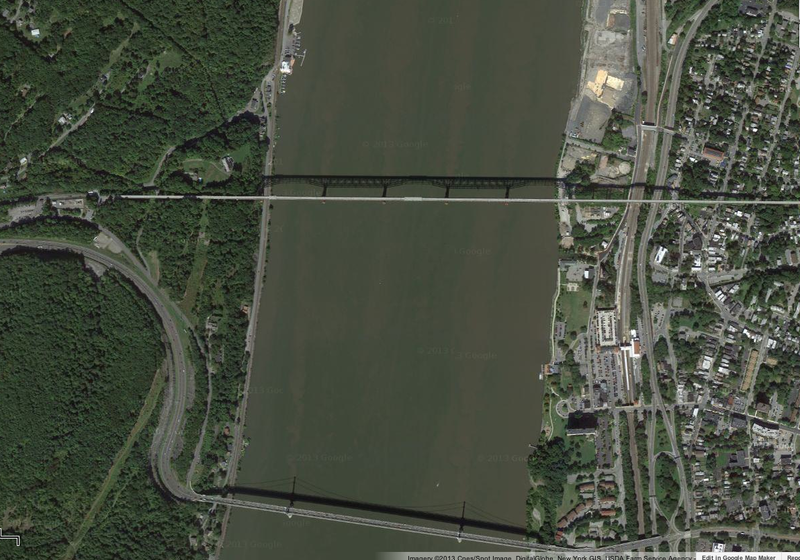 As seen in this Google view, the “Walkway on the Hudson State Historic Park,” is a mile or so north of the “Mid-Hudson” automobile suspension bridge, connecting the town of Highlands with the city of Poughkeepsie since 1930. Railroad tracks have been replaced by a wide, pleasant pedestrian walkway, accommodating people, children, babies, cats, dogs, bikes ……. Built and re-strengthened as the weight of the freight trains increased, the structure is another testament to 18th century engineering. However… underneath, it certainly shows it’s legacy. 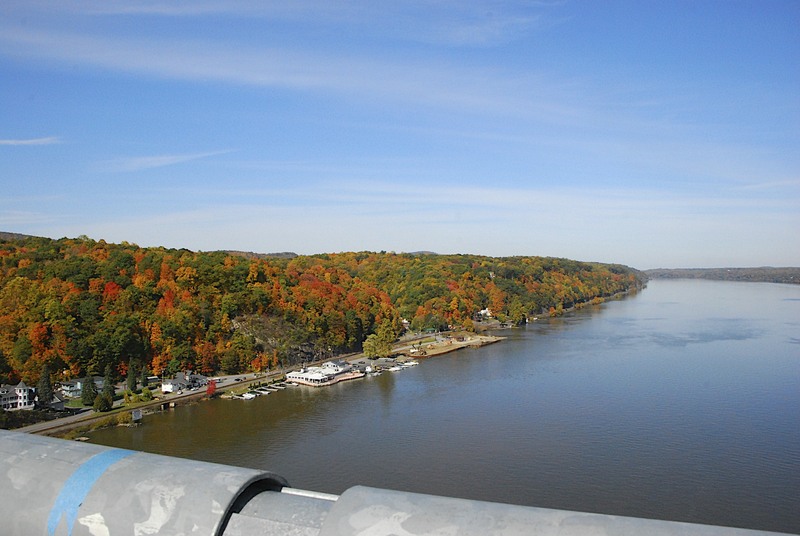 The scenery from its deck is awesome, especially in the fall. 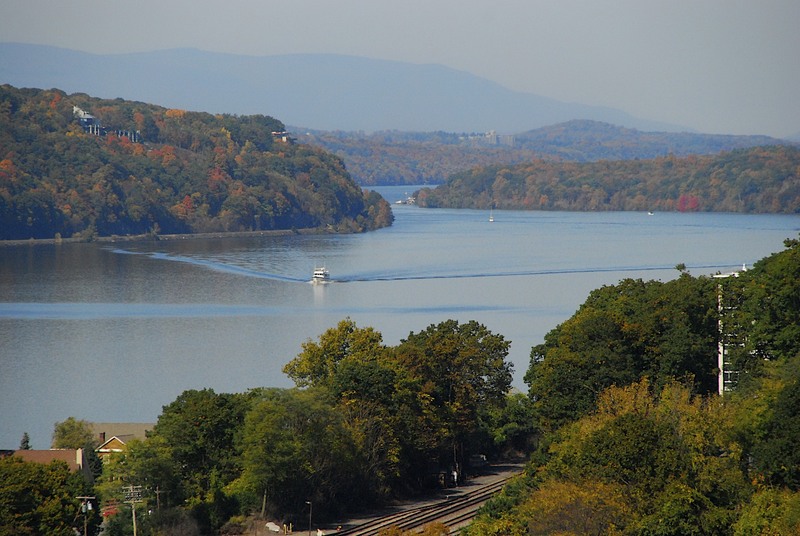 As seen from the eastern end, the spectacular Hudson is winding north, with the Catskill Mountains in the distance. 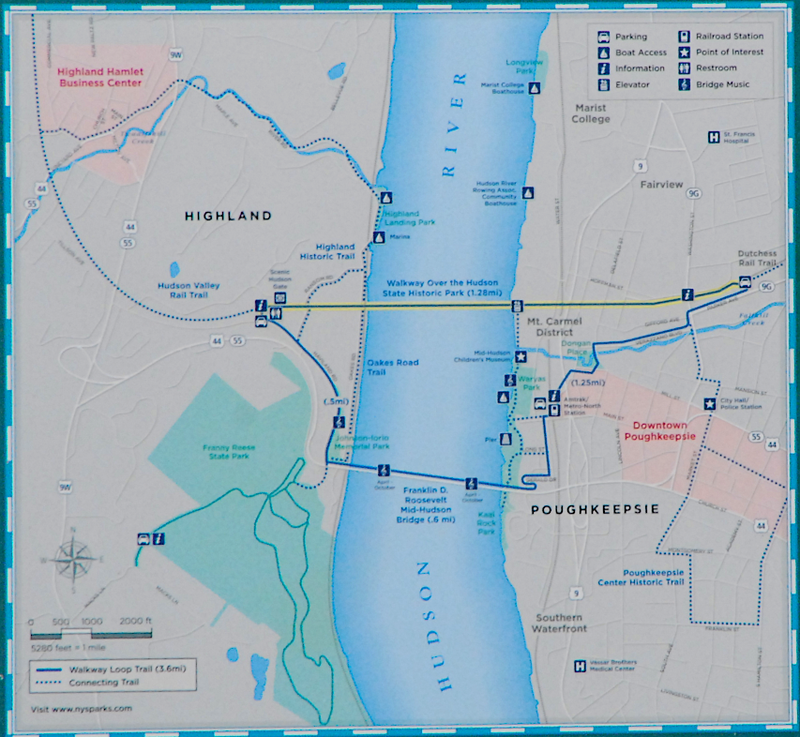 Historic plaques, information boards, and even smart-phone connectivity to points of interest via apps, are available across the span. From Sherri: “Wow, amazing views M! Beautiful autumn colours but so high up, I think I would not like that part as I don’t like heights one bit! 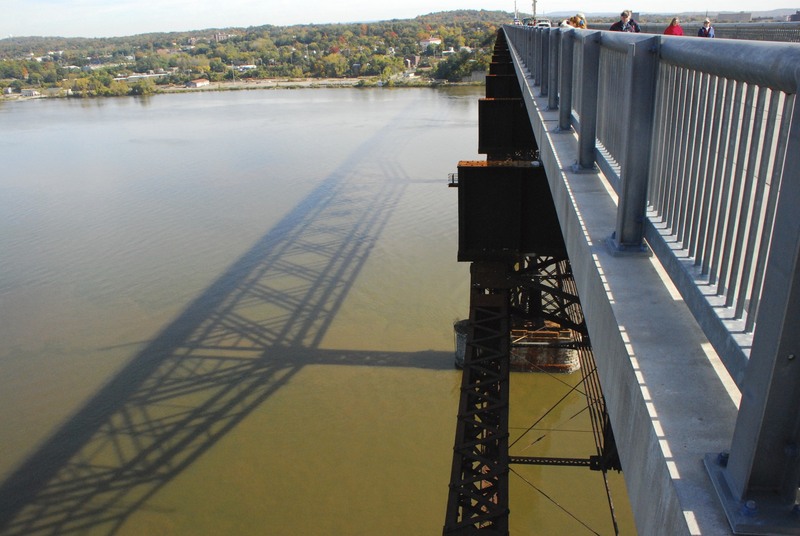 Very interesting post about this longest footbridge in the world! I haven’t been on my laptop for a few days so it’s taken me a while to get round to everyone, sorry about that! Don’t worry if you ‘do’ awards but I just wanted to thank you for being so supportive of my blog and reading my posts. It means a great deal to me. I’ve seen this bridge a long time ago. Cant’s walk across it now, but I think I will after a knee replacement! That’s a goal for next Spring! Fantastic Pics Cuz! 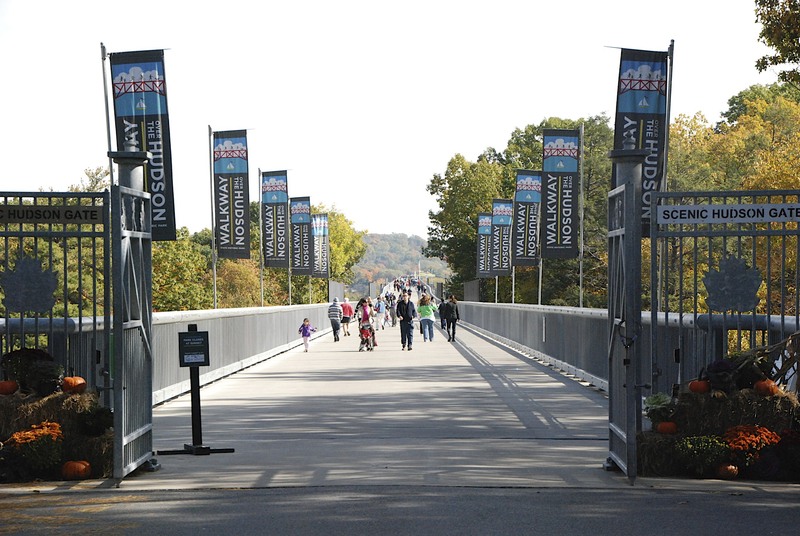 That’s really cool to have a pedestrian bridge like that. I have gone across multi-use bridges before like the Golden Gate Bridge, but it’s hard to enjoy the beauty of the scenery with the noise and fumes of the traffic. 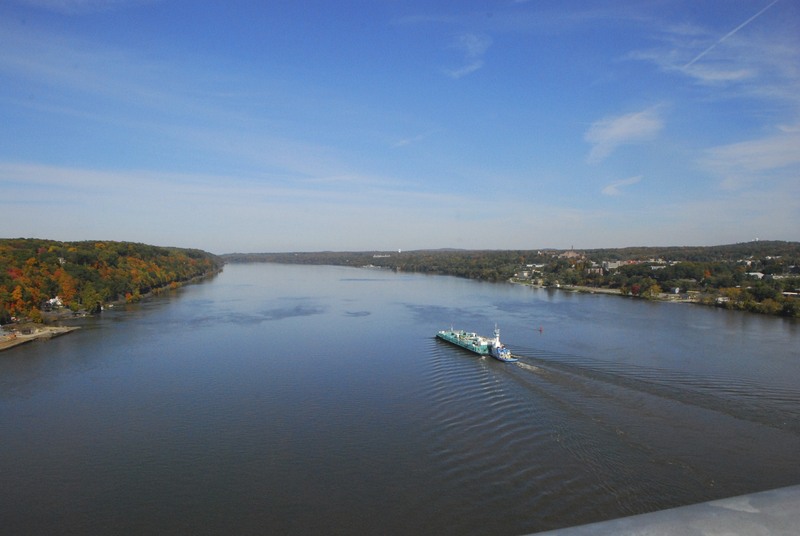 Your photos really show some awesome views from the bridge. Very interesting post. I love Your photos very much. This looks like a beautiful experience .